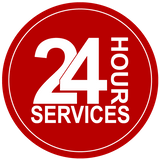 Pro-Guard Painters offers 24-hour service for all commercial and industrial painting jobs. Contact us today to receive your free estimate and start planning your next project. We can handle all commercial and industrial jobs of a variety of sizes. With such a large staff on hand, we can tackle some of the biggest jobs quickly and efficiently. Our team of painters is fully insured, and we guarantee all our work under warranty.